Having low city water pressure (up a hill from town) of around 35PSI our sprinkler heads would not consistently pop up and running a shower and a faucet at the same time was really poor flow. Installed this pump and for the most part I'm really pleased. 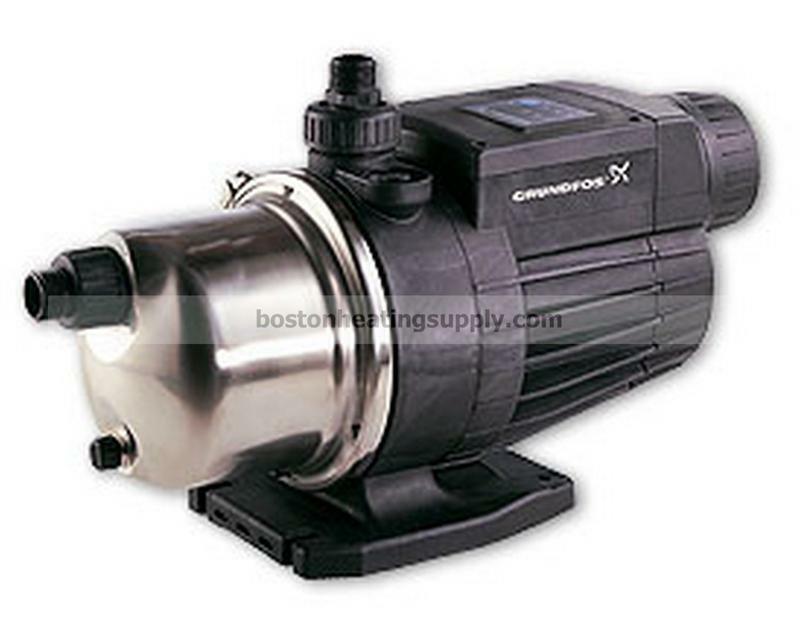 The pump runs with a low hum and no other water noise. There is one caveat that disappointed me and that is the spec that says either a flow or pressure drop will start the pump. When there is a call for water (i.e. a faucet is turned on) the pressure continues to drop to about 26 PSI before the pump kicks in. I have a regulator before the pump inlet (Cash Acme 22382-0045) which once the pump starts, stops the pressure about 60 PSI. The pump continues to run while there is flow (no cycling, nice!) then stops about 10 seconds after the flow is removed. My problem is that I assumed the instant I turned on the water that there would be flow and the pump would start. This is not so. The problem is that until the water pressure that the pump created in your house is lower than the incoming pressure, there will be no net positive flow from your city source, hence the pump will only start once this is met or the pressure hits the low set point. I'm not sure which item (flow or pressure) is actually starting the pump as my guess we are starting to get flow about the same time the pressure is around 26 PSI. Don't get me wrong, the pump works, is quiet and does a good job. My disappointment is that this should be a well-known artifact of boosting city water pressure that was not listed in the manual or in any docs I read. After 2 calls to Grundfos tech support one gent mentioned that this was likey the case and "normal" operation. Also, I first tried a BurCam (506532SS) pump and wow what a piece of junk... Noisy and had such cavitation that I'm sure it would have exploded in no time. The real people at Boston Heating Supply were very accomodating and helpful. Highly recommend the Grundfos and Boston Htg Sply!